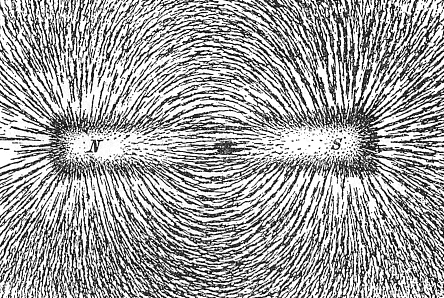 My favorite 'splainer of geology, Marcia Bjornerud, Lawrence College has written a short essay on the earth's magnetic field for The New Yorker. It is a story of reconstructing the magnetic field using archeological materials, mostly fired pottery. Bjornerud notes that "The makers of these old jars, diligently stamping handles with the royal brand, had no idea that they were contributing to a twenty-first century debate about the very heart of the planet." If you don't already you will understand the importance of the earth's magnetic field, especially a stable one to us, and some idea of how it is studied. It is also a story of how a science works and where curiosity about a phenomenon leads and may lead. It may be read here. 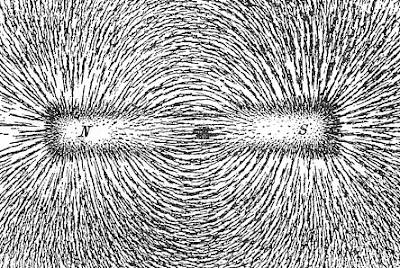 The superficial, easily observed, features of magnets are deceptive. Consider what we learn in school. The late science educator Mary Budd Rowe collected some statements gleaned from first grade boys taking part in a study of magnets. They had all had experiences with magnets. Each had 4 magnets of different shapes, a piece of iron, and a heavy piece of plastic. These were typical statements about concepts that are commonly taught in the primary grades. I abbreviate them in parentheses following the statements. from Teaching Science as Continuous Inquiry. However, when you think about what's next or underneath these observations which are good ones to make what really is a magnetic field? These simple magnetic effects suddenly become complicated. Dr. Bjornerud did her undergraduate work in geology at the UM-TC and her M.S., and Ph.D. at the University of Wisconsin. In this short YouTube interview she talks about teaching and the work of some of her students at Lawrence College. Bjornerud also wrote a lovely, beautiful book on geology titled Reading the Rocks: An Autobiography of the Earth.